OSCE Minsk co chairs View Return of Refugees as ?Unrealistic? 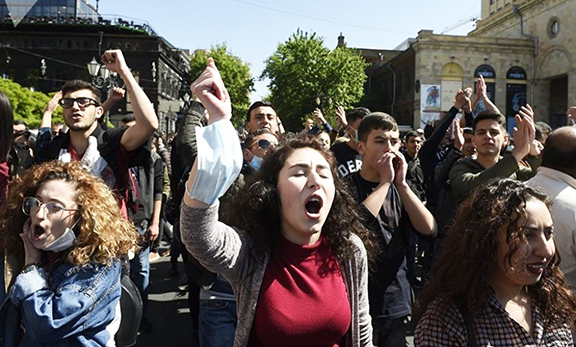 YEREVAN (Yerkir)–Speaking with the Armenian refugees from Azerbaijan–Yuri Merzliakov–the Russian co-chair of the Organization for Security and Cooperation in Europe (OSCE) Minsk Group–said the issue of refugees cannot be viewed separately from the entire conflict. Referring to the region’s instability–Merzliakov said–"I could not imagine how Armenia’s would be able to return to [Azeri-occupied] Shahumian." He added that their security must not only be guaranteed–but the issue must also remain a component in reaching a settlement. Minsk Group French co-chair Bernard Fassier–who served as the French ambassador to Georgia in 1990s–said he witnessed firsthand the unorganized return of refugees to the Gali region of Georgia–and the consequences involved when the situation is not fully scrutinized. Both Merzliakov and Fassier just wrapped up an OSCE fact-finding mission around Mountainous Karabagh to investigate Azeri claims that they were being populated by "illegal Armenian settlers." Fassier commented that the mission proved useful for understanding the situation.